Jordana presented a poster titled "Optical Probing of Class C G Protein-Coupled Receptor Structure and Function" at the Protein Society Annual Symposium in Boston. 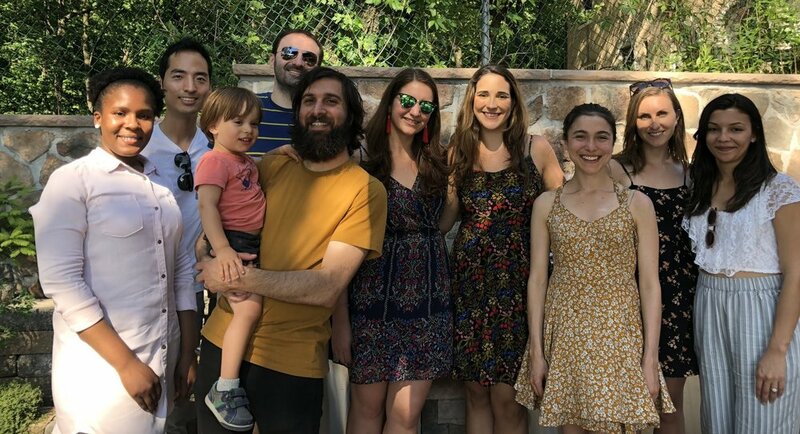 The lab enjoyed plenty of sunshine and great food at our lab outing! The lab with our summer undergrads and baby Izzy. Congrats to Jordana on passing her ACE! 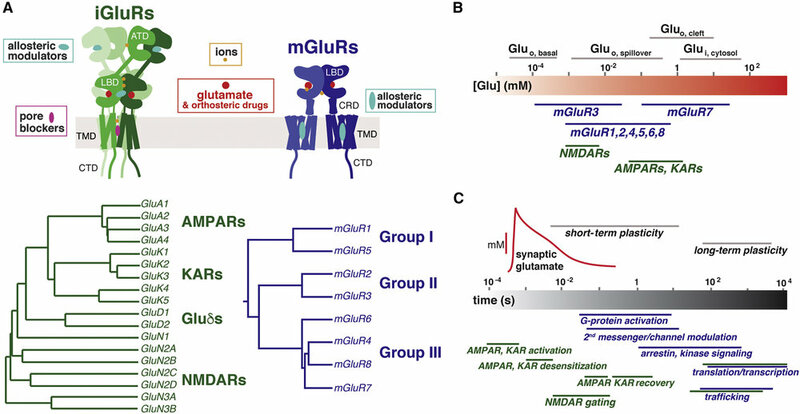 Her talk was titled "Deciphering Transmembrane Domain Assembly and Conformational Dynamics in Metabotropic Glutamate Receptors". Nohely Abreu has officially joined the lab! She is a biochemistry graduate student with a B.A. in Neuroscience from Queens College. Nohely has also been awarded a NIH Graduate Research Fellowship in 2017. Congrats to Vanessa on passing her ACE! Her talk was titled "Elucidating the Role of Group II mGluRs in Prefrontal Cortex Circuitry in a Stress Induced Model of Anxiety and Depression". Joon Lee has officially joined the lab! He has a Ph.D. in Materials Science and Engineering from UC San Diego and a B.S. and M.S. in Chemistry from Yonsei University, Korea. Congrats to Amanda on passing her ACE! Her talk was titled "Probing the Induction Mechanism of mGluR-mediated Long Term Depression". Congrats to Vanessa on winning 2nd place in the neuroscience program poster competition at the annual program retreat. Her poster was titled "Optogenetic Studies of Prefrontal Cortex Neuromodulation by Metabatropic Glutamate Receptors". Jordana Thibado has officially joined the lab! She is a biophysics graduate student with a B.S. in Chemistry from University of Arkansas. Jordana has also been awarded a NIH Graduate Research Fellowship in 2017. Dr. Joshua Levitz has been awarded the NIH R35 for his grant Molecular Mechanisms of Synaptic G Protein-Coupled Receptors. Vanessa Gutzeit has officially joined the lab! She is a neuroscience graduate student with a B.S. in Neuroscience and Behavioral Biology from Emory University. Amanda Acosta-Ruiz has officially joined the lab! She is a biochemistry graduate student with a B.A. in Biology from University of Pennsylvania. We are excited to start new and exciting research in the Levitz lab!